Quite by the sweetest coincidence, I e-met the author, Marko Kitti, and got to read his delightful set of books. Well, not all of seven of them yet -- but, enough of them to know that this is a light and fun chapter book series for kids to get hooked on. "Jesper Jinx is eleven, and probably the unluckiest person in all of Puffington Hill. Everything he touches seems to end up in sweet disaster. Hence his nickname 'Jinx'"
In the first few pages of the first book, in the Intro Sequence, the author sets the tone and the mood that made me realize that kids would love this style of writing: the author has promised Jesper that he won't share Jesper's embarrassing moments in print; Yet, the author breaks "at least a zillion promises and moral obligations" and asks us readers to not breathe a word to Jesper about this breach. Conspiratorial, or what?! Things always seem to happen to Jesper. His heart is in the right place. His intentions are usually nice (not always!). But he manages to come out fine in the end. Finnish author Marko Kitti took up writing in English as a challenge and has come up with an entertaining set of books that are a pleasure to read. I e-interviewed the author to know more about his writing journey and the various aspects of bringing Jesper to the readers. 1. Tell us about your writing journey - when did you start, what was your motivation for writing? I've been writing fictional stories for as long as I can remember. As a child, I enjoyed writing all kinds of short stories, most of them which were actually my own versions of the stories I'd read. So my love of writing comes from my love of reading. But it wasn't until I was in my late twenties that I sent my scribblings to a publisher, and I've been a professional writer ever since. 2. Do you focus on writing only for children? What are some of your other works? I have published several novels and short stories for adult and YA readers in the Finnish language, but for the past four years I've been focussing on writing only for children, mainly in the English language. I find writing for children wonderfully enjoyable, although it's one of the most difficult types of storytelling. I've always loved challenges and, funny enough, it didn't take long before I found my comfort zone in writing children's literature. 3. What was the inspiration for Jesper Jinx? Were you drawing from your own life perchance? Jesper Jinx was born purely by accident. What started as a simple "experiment" soon turned into something completely different. Finnish is my mother tongue, and about five years ago someone challenged me to write something in English. More precisely, what that person actually said was: "I don't believe your English is good enough for writing a book.” That was a huge trigger for me. Being told "you can't” was all the motivation I needed, and a few months later Jesper Jinx was born. I wanted to create a character who was someone the young readers could identify with. 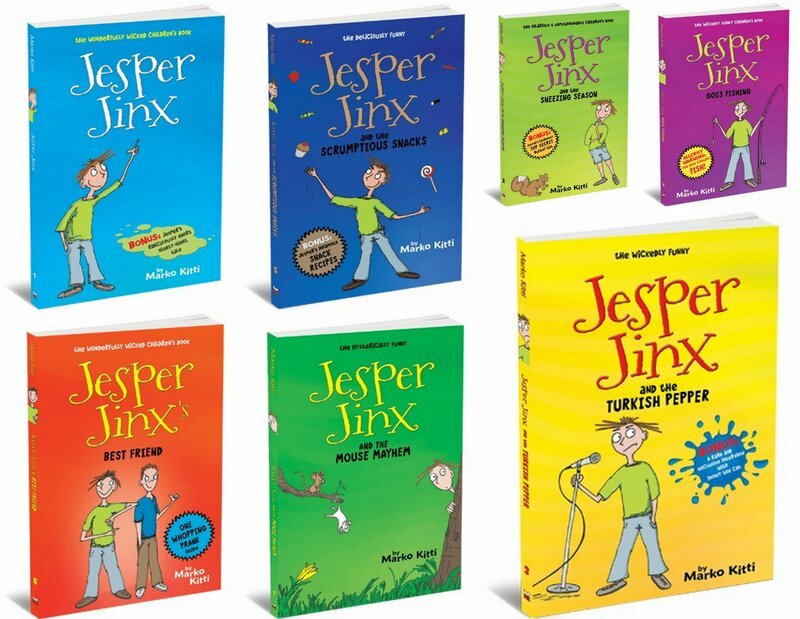 I also wanted to involve the reader in the Jesper Jinx books by directly addressing them, making them feel like they are part of something important. I wanted to take a humorous approach to the stories, and that proved to be a good decision. After all, these days more than ever, children need laughter as well as a sense of security and acceptance in their lives. 4. Tell us about your favorite children's author(s) and book(s)? As a child, my favourite children's author was Enid Blyton. I can honestly say I've read most of her books at least twice; The Famous Five, The Secret Seven, The Adventure series, you name it. I also gobbled through Edgar Rice Burroughs' Tarzan series, which I found absolutely fantastic. Nowadays, I enjoy reading all kinds of children's books. Some of my favourite authors include Roald Dahl, David Walliams, Jeff Kinney and Anthony Horowitz, and I'm also a great fan of the Harry Potter series by J.K. Rowling. 5. 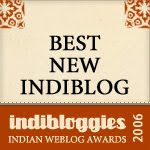 How was the self-publishing experience? Do you handle the business-end and technical-end of self-publishing as well? Yes, I'm involved in every step of the self-publishing process from writing and graphic design to the actual publishing and marketing, and I can honestly say I have enjoyed every minute of it all. But I haven't been doing the project alone. I'm lucky to have a fantastic team of editors, proofreaders and marketing professionals around me, so I can easily say that the Jesper Jinx series couldn't have become as successful as it has without a brilliant team effort from everyone involved. 6. What do you do when you are not writing? What are your other interests/passions? I love travelling and exploring new places and cultures. I was born in Finland but I'm living in England now – and who knows, someday I might be living somewhere else. I also love baking and cooking and you will always see me in the kitchen.